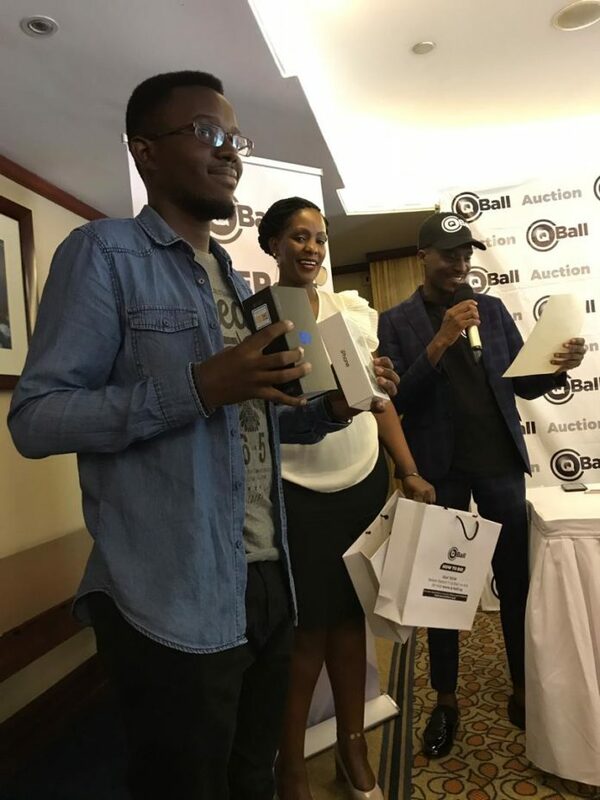 Q-Ball, an online bidding and auction house has today awarded first winners since the launch of valentine special offer at discount of 90 per cent of any desired product on sale. Q-Ball is competition based company that holds auctions of most demanded items ranging from gadgets to trips. Every week, the house plans to have a new list of auction items that people can bid for starting at really low reserved prices. According to Executive Director of Q-Ball, Ms Pamela Kapa, said valentine special offer was lunched on February 1 with offers including a one night for a couple at Lake Victoria Serena Resort, at a cost of Shs 100,000, IPhone X at 50,000 and Sam Sung S9. After bidding, Mr. Stuart Akankwasa won himself a night at Divine, April Mugume Valentine’s night at Serena resort Kigo, Robinson Okello got himself a Valentines night at Serena Kampala. Mr Arnold Mugisha a 26 year old, won himself IPhone X and Sam Sung S9 after he placed bids using two different sim cards. Speaking during the handover ceremony at Serena hotel Akankwasa said Q-Ball is none gambling or lottery organisation. “What the bidders did was to dial *252* or log into q-ball.ug, make a bid worth Shs1,000 off mobile money account. Every transaction comes with 10 per cent bonus in form of airtime and the highest number of bids wins the praise,” she said. “So if you place 50 bids and you’re the winner at the close of the bidding process, then you’ll be able to purchase it at it’s initial Shs200,000 and 50 bids which bring it to Shs250,000,” she said. She said Q-Ball is the place where you come to buy your dreams at the most affordable prices, “We empower our clients and create great economic opportunity,” she added.